Note: All articles in Dr. Kamath’s series on The Truth About The Bhagavad Gita can be accessed from here. The Varna Dharma (4:13), the Class System by which the Brahmanic society was divided into four great professional classes (18:40-45), came into being between 1500 and 1000 B. C. Jati Dharma (1:43), the Caste System by which people identified themselves as belonging to a distinct group with shared values, hereditary professions, eating habits, food and marital alliances, came into being somewhat later. Whereas the Varna Dharma divided the society vertically (Brahmins at the top and Sudra at the bottom), the Jati Dharma divided the four classes horizontally. For example, Brahmin Varna consisted of hundreds of distinct Jatis speaking different languages, eating different foods, practicing different rituals, and marrying people only within their castes. Caste system became increasingly rigid after 12th century due to resurgence of Brahmanism as well as rise of Islamic rule in India. This was obviously a highly unequal division of Brahmanic society. A whole new justification for the unequal division of the society into four classes became necessary. As we read in an earlier article, Brahmanism came up with a pair of ingenious doctrines to explain the inequality of the Varna Dharma: unequal distribution of one of three Gunas of Prakriti (“inherent Qualities”), and consequences of Law of Karma (“one’s current class and circumstances are as a consequences of one’s action in previous lives”) (4:13). For example, Sudras, the lowest of four classes, were born in an “inferior womb” (Papayonaya, 9:32) because of the combination of their Tamas Guna (inherent traits such as ignorance, delusion, heedlessness, indolence and sleep, 14:8), and some sinful acts he must have committed in his previous lives, such as hitting a Brahmin or stealing his cow. Once born as a Sudra, he was forever condemned to be a servant of the upper classes. If a Sudra wished to be reborn in a higher class, he should keep performing his Dharma (designated duty of serving the upper classes) helplessly (18:60) and faithfully in this life (18:45). Brahmanism brainwashed people into believing that one was totally helpless before the force of the Gunas (3:5, 27, 33; 18:60). In fact, if one defied Varna Dharma, he would suffer shame in the society here on earth and hell hereafter (2:33). Ostracism by the society was considered worse than death (2:34). Note here how Upanishadists defined Brahman in exactly opposite terms as the Gunas -no Qualities (shape, size, weight, Varna, Kula) whatsoever. Whereas the Gunas manifested themselves by means of the Senses (3:28) Brahman was free from the Sense Organs (eyes, ears), and so it was free from desire for and attachment to sense objects. Whereas the Gunas were the source of all Karma (Action 3:5) and Karmaphalam in action, Brahman being free from Organs of Action (hands, feet, etc. ), was free from Karma (Action) as well as Karmaphalam. Whereas the body, made up of the Gunas, is subject to decay and death, Brahman was imperishable. Whereas the Gunas were unequally distributed in people, Brahman was equally distributed in all living creatures. People who know the all-pervading nature of Brahman become same-sighted (Samadarsheenah) on all beings. They do not see any Guna/Karma based difference between a cultured and educated Brahmin on one end of the spectrum to an illiterate Outcaste on the other (5:18-19). The modern equivalence of this is like a geneticist telling a White Supremacist, “The colored people you hate have the same DNA in their bodies as in yours!” Note here the paradigm shift: The source of all beings is Brahman of the Upanishads, not Prakriti of Brahmanism. Also, note that whenever Upanishadists use the word “wise”, they are referring to enlightened Yogis. Whenever they use the word Mudhas (stupid) they are referring to Brahmanic loyalists. Here is a related article that appeared on Vijaya Karnataka Kannada Daily, Bangalore, dated May 3rd, 2010. People are waking up! He said this while releasing the thought-provoking book titled ‘Anavarana’ by A. R. Narayan Ghatta, in the KUVEMPU open theater of the Kannada Sahitya Parishat arranged by Kannada Sangharsha Samiti. Author Narayana Ghatta said that his book was written to oppose Brahmanic policy of four-class Varna Dharma, supremacy of Brahmins, and neglect of Untouchability. “This is a only a small attempt. There should be more attempts like this,” he said. Translated from Kannada to English by K. P. S. Kamath. Excellent article, especially for a local publication, even if it is in Bangalore which is a very modern city in India. We can only hope that such local activism takes off in the years to come. But there are many ideological enemies and we must not tire in our fight! Brahmins or Pandits are modern day Innovators.Kings were Kings,Soldiers – Kshyatrias,Vaisya-Business Class-or self employed.Sudra cud be labour class…whats wrong with it.Each class is required.Its the stupid moden day brahmin who misinterpreted-probably started wid the brits…. Don’t you see the flaw in your argument? How stupid it is to pigeon hole human capabilities? So an innovator cannot do business? A laborer can’t innovate? Class system could have made sense in the age of information monopoly where learning something can take years with the best teaching technique being rote memorization. Thankfully people elsewhere thought otherwise and today learning about any subject is quite easy. Dont blame british for everything. Probably they are ones who introduced formal education system in India, where children from all classes/caste of society could get access to (e.g. B.R.Ambedkar who got a PhD from Columbia). British also translated some of the sanskrit scriptures into English, which then english educated Shudras could easily learn about Indian heritage, when Sanskrit was restricted to Gurukul and upper castes. Imagine British had not colonized India, and Mughals in the North, South Indian Bahamani, Nizam and Tippu Sultan continued their rule. What would be the fate of India? Read “Annihilation of caste-by B.R.Ambedkar”, and you will realize how your argument is flawed. Hmm, If not for the British, I am 100% sure we will be sporting Kudumi still. Dont wish to get into long winded arguments but am not talking from a pigeon hole point of view but speaking broadly – Pandits shud b pandits not coz they know the shastra’s or coz of their lineage/birth in an upper caste.But whayt i mean is those who spread knowledge/innovate/uplift are probably the ones to be called Pandits irrespective of which of the 4 blocks one was born.Even today we have guys like sam pitroda who qualifies as a pandit.But he may be a businessman. King is a ruler – by birth or a democracy or a dictatorship – does not matter.They r all the same. Businessmen are self employed.And labourers can become businessmen,businessmen can become pandits.And anyone can become King.A king may become a labourer,a businessman can become a king. What I mean is that we do exist in 4 blocks in a general sense! !Personally,Not Religious at all.View all Religions as outdated,palaces of intrigue and good money spinners!!!! But would not this be a democracy (and, not the sanatana/sick dharma)! You very conveniently chose to ignore the ills of this verna system highlighted in the article. One remark I would like leave here, The untouchable as per your lines are the people “performed menial tasks considered by Brahmanism as degrading, such as skinning animals, carrying out night soil, cremating dead bodies, executing criminals, and other unsavory tasks, which even Sudras refused to do”, People known as Chandala belonged to this category. People resulting from Varnasankara such as the union of the Brahmin women and Sudra men were also considered as Outcastes. Could we estimate their population be around roughly more than 25% of indias total population? I am not including the converted people in to this calculation, If it is so the percentage still be more. How come the 25% and more working only around within the left out works? My claim is they are not basically in the hindu folds, they must be of the fifth category who refused to come under the hindutva division or follower of Buddhism or people who refused to give away their old beliefs and practices it Even though degraded (Tribes). Brahminsm offered comfort to brahmin, khastryas and vysyas. But sudras must be fourth mass stand away from hindu folds. Later they were threatened and joined into that hindu fold fearing for their life and belongings. The people who stood strong were isolated in the name of Untouchability. In the due course the untouchable left out with no option to do menial work and plus… fearing for their existence, and all other hindu folds taken advantage of it including sudras. I think, sudra itself a name we should not normally use, yes! I was learning its different meaning in periyar(E.V.K. Ramasamy) books. The problem with articles like this is that the author thinks that he already know what happened in all the past as if he was watching like a god from somewhere. And to think that brahmins had nothing to do other than conspiracy is so immature. And the article also assumes that other people were somehow fools to listen to brahmins and somehow became enlightined recently. The analysis also makes so many assumptions like the time periods it was written and mixes so many eras and different peoples work for some unknown superemacy. Nobody cannot know for sure what happenned in those 1000s of years. And to top it up with some hysterical steriotyping of ancient peoples as such is only a modern form of confusion creating that the british did using divide and rule policy and blame it on others. Grow up guys. The author states multiple times in the series that this is his theory on the evolution of Brahmanism and he provides arguments to back up his theory. While he doesn’t provide factual evidence (), he puts forth points based on human psychology and practices which are being propagated to this day. At the same time he invites readers to challenge him with counter arguments to disprove his theory. This is seen to this day where those in positions of power do everything to hold on to it inspite of having better things to do. Brahmins had their entire livelihood at stake. The people who followed Brahmanism were bound by Varna Dharma (propagated by Brahmins) to listen to Brahmins, fools or otherwise. A society (Khap?) to enforce them isn’t so unthinkable. Despite this, there was disenchantment in society, which would explain the emergence of other ideologies and their adoption in this region. The time periods mentioned seem to be consistent with the latest research on the composition of ancient Indian literature. Which is precisely why we should question the beliefs the practices that are being propagated in the name of religion and tradition. We should re-examine them and keep only those that can withstand the scrutiny. The British did many things wrong, but we have enough ills to correct without needing to curse the firangs for it. Good. I too want the same. No longer concerned about these caste/class/occupation based brahmanism. Besides, I know, that if one is of mixed race, they would be marry with their race types. Race is real, castes are fake. Even I want this caste system to go away, but I find it rather surprising that hindus themselves want to preserve it. Even the so called democratic parties have pushed for caste system. Even the aryans did not propagate such racist attitude, and they just had a separate kingdom and jurisdiction, which ceased once ram and krishna fought against their kingdoms. It’s not about brahmins/baniya/jains/dalits not, It’s about to which one ancestry belongs to. This will actually liberate everyone in India. 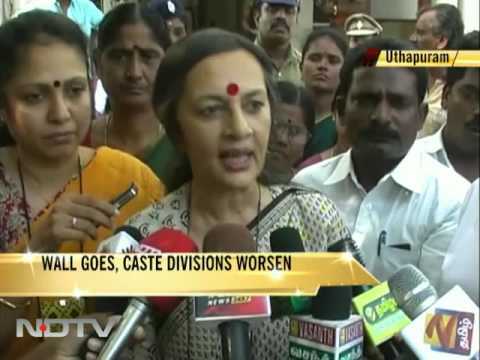 Surprisingly, more than brahmins(caste and race both), it is people like brinda karat, gandhi etc, who use brahmanical tricks to discriminate and segregate people on ranks. //The people who followed Brahmanism were bound by Varna Dharma (propagated by Brahmins) to listen to Brahmins, fools or otherwise. A society (Khap?) to enforce them isn’t so unthinkable. Mr Vashisht, you are not getting the entire picture. Now, mr kamath is too a brahmin, so he is taking the points of brahmins also. Besides, what he is attacking is a DEGRADED FORM OF BRAHMANISM, which has evolved in his argument. He is very much correct in writing that the fair/light/olive skinned people did impose a apartheid type of system on the then dark skinned (BY DARK SKIN, IT DOES NOT MEAN BLACK LIKE AFRICAN. MANY OF THE OLIVE PEOPLE ALSO HAVE DARK TAN. BESIDES, PEOPLE OF INDIAN BELONG TO INDUS VALLEY CIVILIZATION). There are many DARK CAUCASOIDS also , like veda vaysa and satyavati. But, aryans did bring a apartheid culture here. Once, people like ram and krishna rose, then aryans and the indian caucasoids started intermixing. This is very much correct. The varna dharma which you are talking about was imposed by those aryans who did not want to be part of these intermixed caucasoid people. This is the meaning here. These brahmans or high lords did not want to lose power. Mr Vashisht, answer me one thing. During the rule of anglo-saxon britons, why not all brahmins were land lords? Don’t tell me that their ancestors were loyal to britishers, because, none of my ancestors ever went to oxford/cambridge, like the other indian royal families have went? Besides, there was a doctrine of lapse? Why was it introduced? Are you aware who peshwas and konkanstha chitpavans are? They are classified as jews of bene israel. I think i have given you some hint also, that even jews have posed as brahmins in India. The only brahmans or high lords, the real ones, were the KURGAN WARRIORS OF BRONZE AGE GIANTS, who migrated from mitanni/central asia, that’s it. Rest apart, for me, everyone is fake. And these people got extinct, or are on the verge of extinction. But their numbers are almost zero in today’s India. Majority of caste brahmins are not vedic aryans of those eurasian/central asia kurgan giants. Caste brahmins are not VIDESHI , but surprisingly, still trying to impose themselves on their own indians. I just wonder what these warlords have done on the mindset of Indians? Toward a history of the Brahmins: Current research in the area is fragmentary. The state of our knowledge of this fundamental subject is preliminary, at best. Most Sanksrit works are a-historic or, at least, not especially interested in presenting a chronological account of India’s history. When we actually encounter history, such as in Rajatarangini or in the Gopalavamsavali of Nepal, the texts do not deal with brahmins in great detail. These so called brahmanical rituals are not vedic all!!!!! And I think, even the pre-aryans indian subcontinent was very racist. 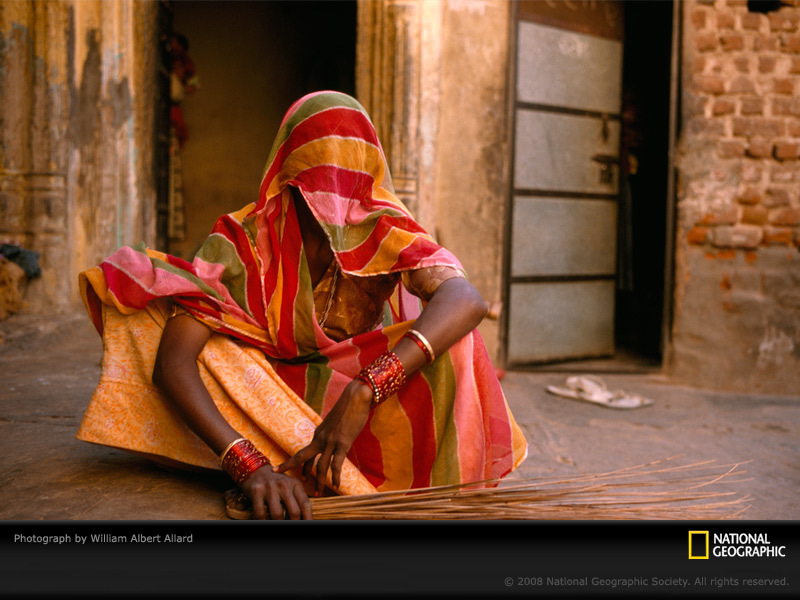 I think, the adivasis/tribal people were always shunned. According to me, the ancient indian subcontinent was inhabitated with lot of other races, like mayans/peruvians, or rather something like either ameri indians, middle easterners of those eras also. 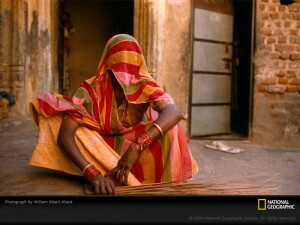 To say that indians were dark skinned is too much a vague statement to make. But definitely, lot of other races have been residing in those era also, before the aryans migrated here. The word Brahmana is mentioned in the Vedas. Brahmanosya mukhamaseel. Sacrifices like Aswamedha are chapters in Thythireeya brahmana of Yajur veda.